Lakeshore Records and Sparks & Shadows will release the REVOLT - ORIGINAL MOTION PICTURE SOUNDTRACK digitally on October 13, 2017. 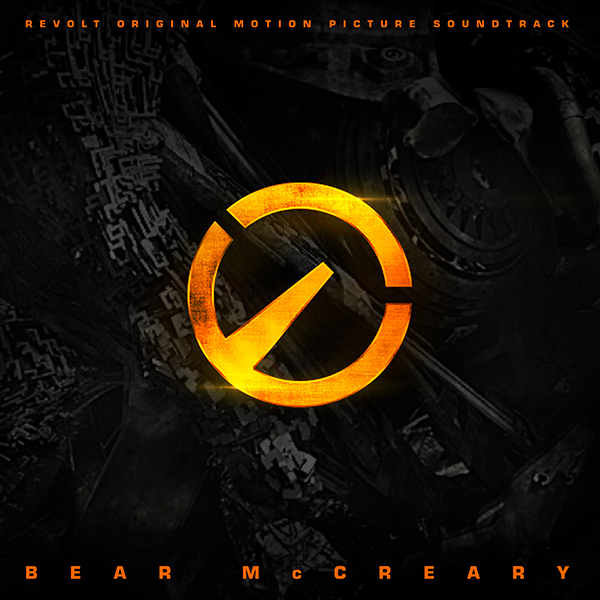 The album features the original score by Emmy® Award-Winning Composer Bear McCreary (REBEL IN THE RYE, 10 CLOVERFIELD LANE). Set in the war-ravaged African countryside, an American soldier (Lee Pace) and a French foreign aid worker (Bérénice Marlohe) team up to survive the alien onslaught. As they journey through the battlefield in search of refuge, their bond will be tested when the soldier discovers his true identity. “From day one, Bear and I agreed that our original scifi movie needed a signature sound. A score that would balance a sinister alien presence with the power of our will to fight back,” said writer/director Joe Miale. “Bear gives our story a distinct voice, one that can waver, whimper or scream. A single solo instrument sails with uncertainty over a relentless rhythm— man against machine. Cue after cue, Bear weaves the story’s dynamics into the music itself; a cherished collaboration that still leaves me wonderstruck." McCreary is known for his out-of-the-box techniques to create the perfect sonic palette for the score. His recent projects have featured unusual instruments (like the hurdy gurdy, Blaster Beam, and bagpipes) and sampled sounds (including manipulated versions of his three year-old daughter’s voice, a typewriter, and even an MRI machine). "When I saw the staggeringly scary robotic drones stampede towards Lee Pace in Joe Miale's visceral sci-fi film REVOLT, I knew the score needed to be mechanical, pulsing and sonically distinct from anything I'd ever done,” said McCreary. To achieve the perfect backdrop he “assembled an ‘orchestra’ of floppy disc drives, and worked with brilliant sound designer Jonathan Snipes, to get them to create sustained notes I could use in the score. Their chirping, guttural voices permeate the music, giving these killer robots a sense of devious human expression."